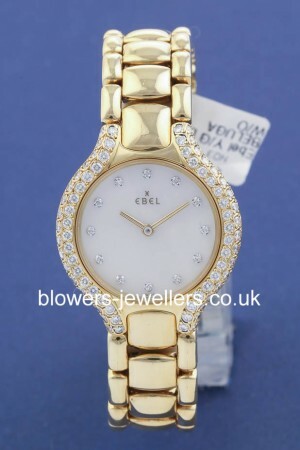 Ladies 18ct Yellow Gold Ebel. Quartz movement. White mother of pearl dial with diamond dot hour markers. Integrated 18ct yellow gold bracelet with concealed folding clasp. Maximum wrist size 15cms. Watch only. Our reference S17166.